The General Services Administration has verified the compliance of AT&T’s billing and ordering tools with agency requirements for the potential 15-year, $50 billion Enterprise Infrastructure Solutions contract vehicle. 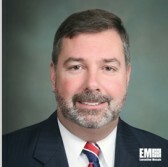 Chris Smith, vice president of shared services at AT&T Global Public Sector and Wholesale Solutions, said in a statement published Tuesday that securing support systems compliance is a “significant milestone.” According to Smith, the next program milestone is winning security validation. AT&T is one of the 10 companies that hold spots on the EIS contract that GSA awarded in August 2017, as a replacement to the Networx contract and to help agencies procure information technology and telecommunications services to support their IT modernization efforts.